Except that one is a wonderful cinematic experience, telling a beautiful story with inspiring characters and the other is called Rachel Getting Married. I was about to give in to the peer pressure regarding Black, but you saved me. Did you see my review of Rachel Getting Married? I thank you for giving me the impetus to see it because it really was very good. I just couldn't stomach those people! The funny thing for me about Rachel Getting Married was the way the screenplay sort of stutters along, speeding up, then slowing down with no discernible framework. It's almost as schizophrenic a pacing as watching Demme speak to a crowd. I know this description may sound confusing, but if you watch Demme addressing this audience, I think you'll catch what I mean. Rambling, rambling rambling... just like Rachel Getting Married was. Yeah, I read it and wanted to reply, but decided to postpone it until I have rewatched the movie. You struggled admirably with something you didn't like. The funny thing for me about Rachel Getting Married was the way the screenplay sort of stutters along, speeding up, then slowing down with no discernible framework. What bothers me the most about traditional Hollywood cinema of old and new is the fixation on ancient storytelling structures. I prefer rambling, atmosphere, mood over that any day. Consequently, I consider Silence of the Lambs Demme's most boring movie and its "discernible framework" does nothing for me. I prefer rambling, atmosphere, mood over that any day. I myself don't mind when a screenplay does that either, what I don't like is when it becomes tedious, which RGM does. Case in point, the protracted wedding scene. Overview: OSCAR® Winner Clint Eastwood* blends a quiet steadiness with palpable ferocity as the iconic gunslinger "The Man With No Name" in Sergio Leone's gritty "spaghetti western." When a steely blue-eyed mercenary arrives in a dusty border town where two rival bands of smugglers terrorize the impoverished citizens, he pits the gangs against each other in one of the most exhilarating frontier adventure films in Cinema history. *2004, Million Dollar Baby, Best Picture, Directing; 1994, Irving G. Thalberg Memorial Award; 1992, Unforgiven, Best Picture, Directing. 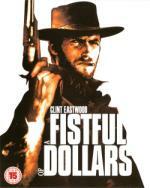 My Thoughts: An iconic film which helped to establish Clint Eastwood as a major film star. As to this copy is it a worthy upgrade? In my view yes and no. Yes to the image, although grain is very evident the overall change to picture quality makes a yes. No to the audio though as to my ears the DTS HD-MA 5.1 came over as very tinny with what appeared to be zero use of the 5.1 unlike the DTS 5.1 on the 2005 DVD. Now this may be a limitation of my audio set-up as my amp does not support the modern HD sound sources therefore my PS3 is connected via optical cable to the amp and the PS3 downmixes the DTS HD-MA sound to DTS 5.1 which the amp handles but I haven't had this problem with other DTS HD or Dolby TrueHD sound source films. I enjoyed watching this again and even looked at some of the bonus features where I learnt that in Japan this film was called Return of Yojimbo because this film is a remake of of the Japanese film Yojimbo. Life? - Who needs a life when you have anime! My CD Collection - sorry I use readerware for that and it doesn't have an online component. Overview: When two rival bounty hunters (OSCAR® Winner Clint Eastwood* and Lee Van Cleef) learn they're both after the same murderous bandit, they join forces in hopes of bringing him to justice. But all is not as it seems in the hard-hitting second installment of Sergio Leone's trilogy starring Eastwood as the famed "Man With No Name." **2004, Million Dollar Baby, Best Picture, Directing; 1994, Irving G. Thalberg Memorial Award; 1992, Unforgiven, Best Picture, Directing. My Thoughts: The second of the trilogy that wasn't really a trilogy. 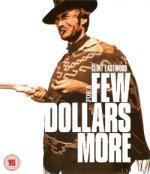 According to the bonus features Sergio Leone made three films with a similar central character all played by the same actor. It was America that turned them into the "Man With No Name" trilogy. Upgrade worthy a definite yes this time. Both audio and image were good. The image again suffered with grain but the overall changes with colour and depth were a big plus. The audio again was DTS HD-MA 5.1 but this time wasn't tinny and while effects were limited there was some 5.1 sound staging. There was a definite shift in quality between the first two, so maybe the upgrade worth is consistent with that. This film has one of my favourite endings! "Any trouble, boy?"... "No, old man. Thought I was having trouble with my adding. It's all right now." Yes, they used lower quality film stock on the first but with an increased budget, from the success of the first, they got better film stock for the second and subsequent films. My Thoughts: The second of the trilogy that wasn't really a trilogy. According to the bonus features Sergio Leone made three films with a similar central character all played by the same actor. It was America that turned them into the "Man With No Name" trilogy. ...and funny enough he is called by name in those films (even it is sometimes just a nickname). At first Joe, then Monco and eventually Blondie. I bought the special edition(s) that were released 3 years ago. I may have to hold on to them and not upgrade after all. 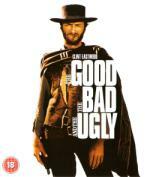 Overview: Sergio Leone's The Good, the Bad and the Ugly is even gutsier on Blu-ray! With a saddlebag full of special features, including commentaries, featurettes, deleted scenes and more, it's the most exciting version of this groundbreaking western available! The inimitable "Man With No Name" (Clint Eastwood) teams up with two gunslingers (Lee Van Cleef and Eli Wallach) to pursue a fortune in stolen gold. But teamwork doesn't come naturally to the outlaws, and they soon discover that their greatest challenge is to stay alive in a country ravaged by war. Forging a vibrant and yet detached style of action never before seen and not matched since, The Good, the Bad and the Ugly shatters the western mold in true Eastwood style! My Thoughts: The third film in the trilogy and to my mind the best one. Like For A Few Dollars More this film is not actually part of a Sergio Leone trilogy even though Clint Eastwood and Lee Van Cleef may look like the characters in that film. This is one film I do enjoy watching and again the music forms an important part in setting the scenes and making the moods along with the individual motifs for the lead roles. Upgrade worthy again a yes, this time the video didn't have the grain of the previous two although there did appear to be a strange effect on the faces of the 3 gunslingers at the beginning of the film when their faces were in close-up. The audio is DTS HD-MA 5.1 once more with limited sound placement. This is one film I do enjoy watching and again the music forms an important part in setting the scenes and making the moods along with the individual motifs for the lead roles. If I remember correctly then they had some music ready before shooting and Leone played it on the set while filming, thus adding to the atmosphere for the actors. At least the scene where Tuco runs down the hill towards the gold at the end (not really a spoiiler, is it?) was done that way. It is incidentally my favorite song from the film (The Ecstasy of Gold). Upgrade worthy again a yes, this time the video didn't have the grain of the previous two although there did appear to be a strange effect on the faces of the 3 gunslingers at the beginning of the film when their faces were in close-up. Good you find it upgrade worthy in overall. The effect you refer to is probably that the faces looked a bit like made of wax, which would be caused by too much use of Digital Noise Reduction; this release supposedly had its fair sharte of that. 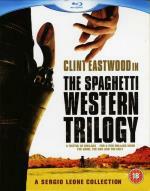 I have seen at least a little of one of these spaghetti western movies..but I have no idea which one. It was years and years ago. I haven't watched any of the featurettes this time plus there isn't one by Sir Christopher Frayling just his commentary - maybe I'll have to watch again but listen to that instead. Thanks for that and yes it was waxy styled faces so must be the DNR. Marie all three are very good but as I said above The Good, the Bad and the Ugly is my persoal favourite, but I do enjoy the other 2. I ought to get hold of and watch Yojimbo to see where A Fistful of Dollars and Last Man Standing drew their inspirations from.